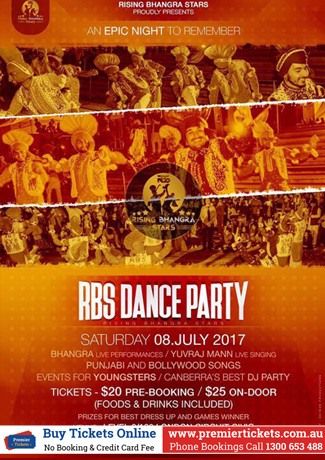 A little information about RBS: We are the Rising Bhangra Stars we started this group in 2015 and are still going strong. Today we would like to invite you to our very First official RBS dance Party. We can promise you that this will be a night to remember. This night will be full of surprises and to keep you happy and entertained we will play games and variety of fun Punjabi and Bollywood songs which will be played by the coolest DJ Monty. Our team will be performing live on the night along with our good friend and an amazing singer Yuvraj Mann. We do have prizes for best dressed so don’t be afraid to go all out and dress the best you can. The theme is Desi so wear anything Punjabi or Bollywood. Get ready for an epic dance night to remember and bring your friends along too. We hope to see you all there.